The advantages of sonographic examination are well known, but its main disadvantage is that it might lead to overdiagnosis, which might cause overtreatment. 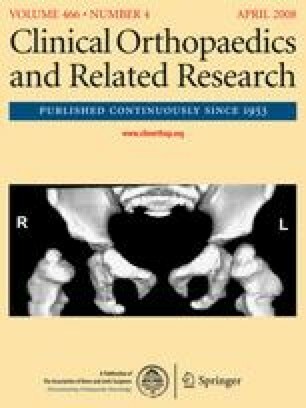 Variations in the incidence of developmental dysplasia of the hip are well known. We ascertained the incidence of neonatal sonographic developmental dysplasia of the hip without considering the development of those joints during followup. All 45,497 neonates (90,994 hips) born in our institute between January 1992 and December 2001 were examined clinically and sonographically during the first 48 hours of life. Sonography was performed according to Graf’s method, which considers mild hip sonographic abnormalities as Type IIa. We evaluated the different severity type incidence pattern and its influence on the total incidence during and between the investigated years. According to our study, sonographic Type IIa has major effects on the incidence of overall developmental dysplasia of the hip with a correlation coefficient of 0.95, whereas more severe sonographic abnormalities show relatively stable incidence patterns. Level of Evidence: Level I, prognostic study. See the Guidelines for Authors for a complete description of levels of evidence. Each author certifies that his or her institution has waived or does not require approval for the human protocol for this investigation and that all investigations were conducted in conformity with ethical principles of research. We thank Mrs Myrna Perlmutter for her help in the preparation of the manuscript and Mrs Ronit Leiba for help with the statistical analysis. We are very grateful to the medical staff of the Neonatal Unit who performed all the routine clinical examinations.